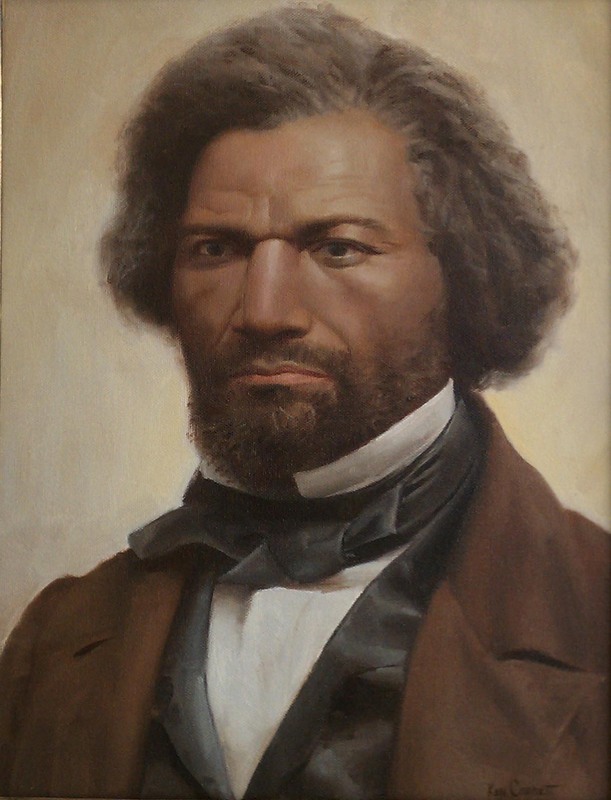 Almighty God, whose truth maketh us free: We bless thy Name for the witness of Frederick Douglass, whose impassioned and reasonable speech moved the hearts of a president and a people to a deeper obedience to Christ. Strengthen us also to be outspoken on behalf of those in captivity and tribulation, continuing in the Word of Jesus Christ our Liberator; who with thee and the Holy Spirit dwelleth in glory everlasting. Amen. Fredrick Douglass was born a slave in 1818. Although he, like many slaves at the time, were separated from his family, he learned how to read in secret. At the age of 14, he converted to Christianity via the African Methodist Episcopal Church (A.M.E.). Finally, at the age of twenty, Douglass escaped from slavery. He cites the spirituals that he sung in the A.M.E. church as his source of inspiration for fleeing, as well as his future career as an abolitionist. Douglass would speak both in the United States and in England regarding the ills of slavery, and the churches that did not stand up against it. Fredrick Douglass was also a journalist, using the media of writing to address the plight of those enslaved. Douglass died in 1895 from a heart attack. Fredrick Douglass was a name that I heard as a child, but did know much about. Many Black heroes fall into this category; Fannie Lou Hamer, Ralph Abernathy, Fred Shuttlesworth, Nat Turner and Bessie Coleman to name a few. Many Black children will look confused when hearing these names. There are a multitude of reasons for this. I blame the structure and focus of our societal approach to education. C.S. Lewis points out that we as humans, believe that the small bits and pieces we learn about complex subjects makes us experts in said subjects. So when every February rolls around, we think we understand the totality of the plight of Blacks in the United States because we celebrate the legacy of one man (Rev. Dr, Martin Luther King, Jr.). On the flip-side, many Civil Rights leaders limit the Black experience in the United States to their era alone. We must strive for more. Fredrick Douglass fought for something more, despite his circumstances. Although he was born into slavery, he was determined to be better. He learned how to read, write and embraced “God Our Father, Christ Our Redeemer, the Holy Spirit Our Comforter, Humankind Our Family.” After Douglass achieved his goals, he reached back and attempted to help others do the same. Fredrick Douglass’ story inspires me to not only do better, but make sure those in my community/family do better.